Sometimes you just have to sit back and really wonder about the world that is being created around us. A video was posted on Facebook reportedly showing thousands of people running around like like a frenzied mass—playing Pokemon Go. Keep in mind the game was created for 10 year olds. 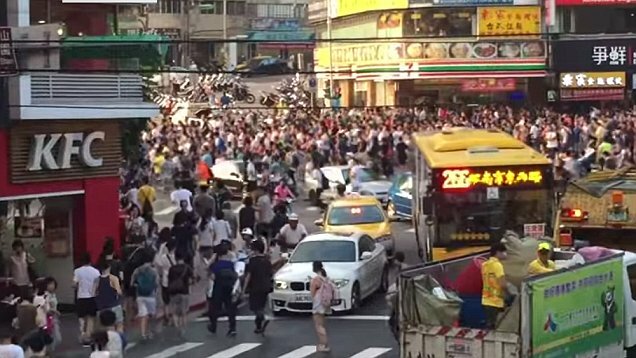 "A surreal video that purports to show thousands of Pokémon Go players in Taiwan stampeding after a Snorlax — a relatively rare creature in the Pokémon pantheon — could, if confirmed, be indicative of just how all-consuming the smartphone game has become. The unverified video was first posted on Facebook on Saturday by a user in the Taiwanese capital, Taipei, and later posted on YouTube. In it, we see a mob pushing through an intersection in what looks like the city’s Xinbeitou district with the urgency and intensity one usually expects of marathons or attempts to escape alien invasions or terrorist attacks. There was a Snorlax waiting for them, it is alleged, and so they took off en masse."